Phase One today announced the latest additions to its Capture One Style Packs with a new series entitled Latitude. Inspired by some of the world’s greatest destinations, the new series, which features two packages, Latitude | Deep Forest and Latitude | Sunbound, are now available for purchase in the Capture One e-store. Today Phase One announced enhancements to its Cultural Heritage digitization tools portfolio. “Slipstream” is a simplified user interface for Phase One Cultural Heritage solutions, making image capture extremely easy for non-trained operators. “PPI Assist” facilitates easy and precise positioning of a Phase One iXG Camera System to capture at a defined resolution, on any copy stand. 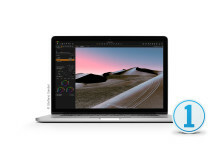 Today Phase One released Capture One 11.1. The updated release enhances the user experience, through a new support platform and functionality updates to ensure a faster workflow. 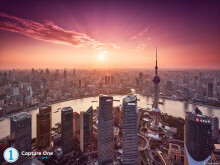 Improved Styles and presets workflow, support for 11 new cameras, including Sony A7 Mk III and Fuji X-H1 and 10 new lenses, and an all-new Resource Hub are among the latest updates. Phase One today announced the fourth major feature update for its XF Camera System. Much-anticipated by existing customers, this update emphasizes autofocus control and precision, further enhancing the ever-evolving XF Camera System. 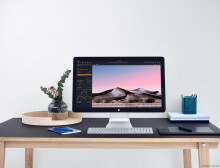 This update provides optimized functionality for leading photographers.